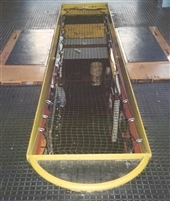 Low-profile drain (9.5") for large-volume vehicles. Size 48"L x 25"W x 9.5"H.
Baffled reservoir prevents splashing when moved. 38" T-handle folds down flat for easy storage. 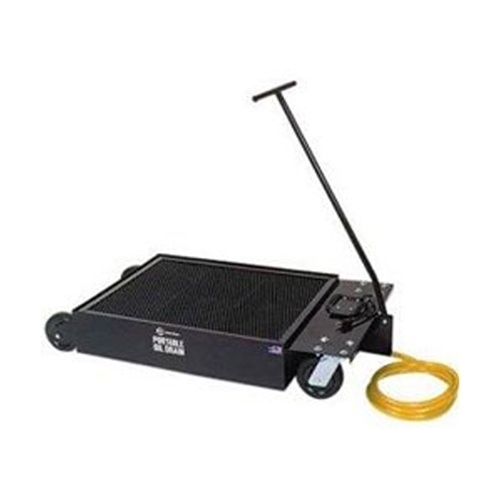 6" industrial casters for easy handling. Expanded metal shield reduces splash. Copyright © C&A Equipment Service. Built with Volusion.